Home News Spain Happy 10th Anniversary to the Royal Couple! Happy 10th Anniversary to the Royal Couple! The Royal couple on their May 22 2004 wedding day. Today (Thursday) marks the 10th wedding anniversary for Spain’s Crown Prince Felipe and his wife, Her Royal Highness Letizia. 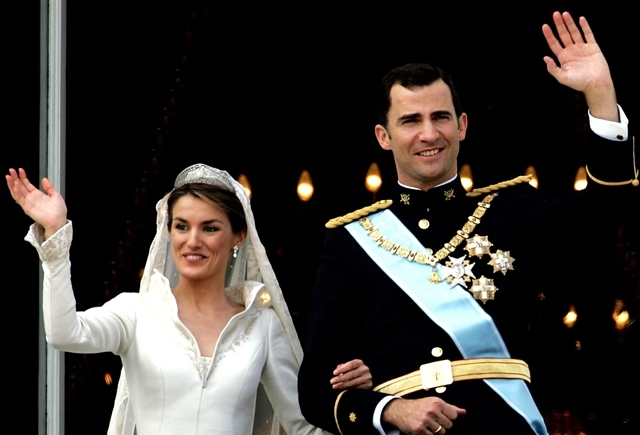 Following the couple’s engagement being announced on November 1 2003, the Prince of Asturias married Letizia Ortiz Rocasolano on May 22, 2004. Letizia, 40, an award-winning television journalist who formally worked for CNN and Spain’s Channel 1, was embraced by the Spanish public – despite the fact she was a divorcee, which could have been a stumbling block in Catholic Spain. Letizia, an embodiment of the modern woman, went from newsreader to royal overnight and took to her new aristocratic role immediately. 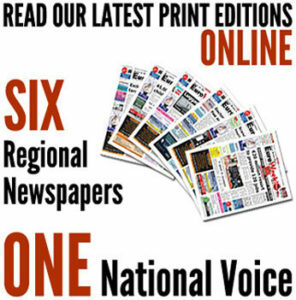 The former journalist, who won a ‘Best Journalist under 30’ prize in 2000, has been praised for how she dealt with the intense media attention. The two were married in Madrid’s Almudena Cathedral, with members of several European royal families in attendance. There were 12 reigning royals from around the world at the ceremony. For the wedding of the year, which was the first state wedding in 50 years, the bride wore a dress designed by Manuel Pertegaz. The wedding was watched by more than 25 million TV viewers in Spain alone, and was broadcast all over the world. Prince Felipe, the third child and only son of King Juan Carlos and Queen Sofía of Spain, is the country’s heir apparent. The couple have two daughters: Leonor, who was born in 2005, and Sofia, born in 2007.